After a long gap i'm back with some calculations stuff here today, which i was supposed to present you guys a long ago, but as per my experience which i had with current process engineers made me put those under hold, and i think today i gotta a solid reason for posting this, as i've seen some guys who were striving hard to learn this stuff, which is not that much clear on the web. What is Bond Energy ? Energy to break a bond(simply dissociation) and convert the mole of molecules into simple atoms is known as bond Energy, sometimes referred as Bond Enthalpy. And different bonds will have different energies, as like most of you know. The bond enthalpy values is the value of the energy (the unit is in kJ/mol) required to break a particular chemical bond at a temperature of 298 K or 25 degrees Celsius. 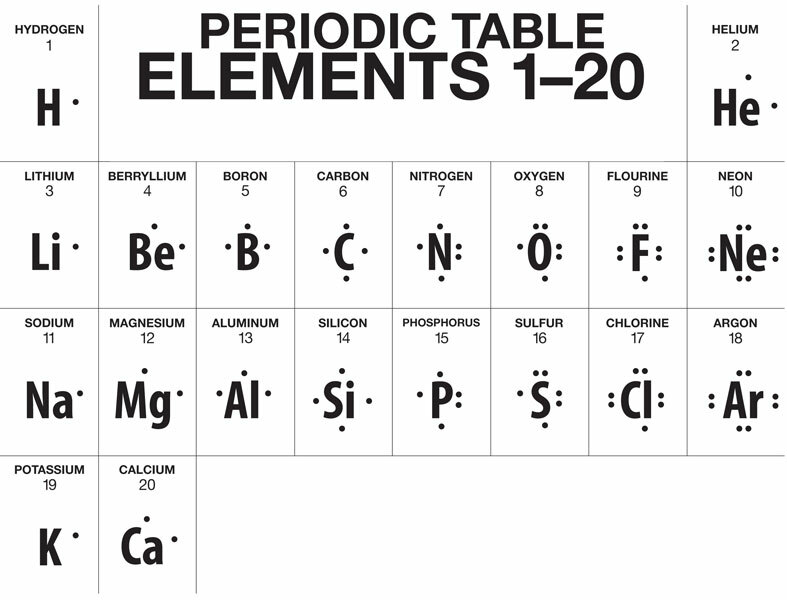 For each chemical bond, there are different values of bond enthalpies. What is a Double bond ? 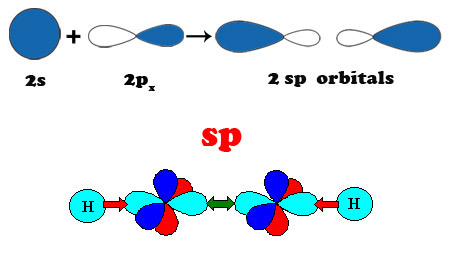 A chemical Bond in which two pair of electrons were shared between two atoms, upto this everyone can remember, but the thing that some of us forget is a Double bond consists of one Sigma Bond and one Pi Bond. 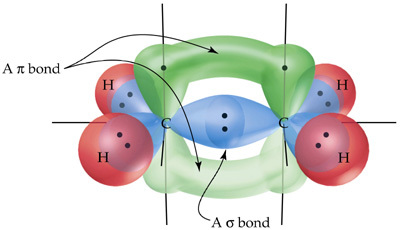 What is Sigma Bond ? By default, Sigma bonds were stronger than Pi bonds. What is Pi Bond ? If i'm right, by now you have recollected the definition of a Pi bond, any way, a Pi -bond is formed due to lateral overlapping of P orbitals. What is Triple Bond ? 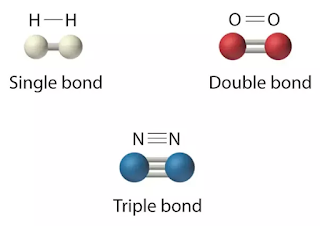 A Triple bond is a chemical bond between two atoms involving six bonding electrons instead of usual two in a covalent single bond. 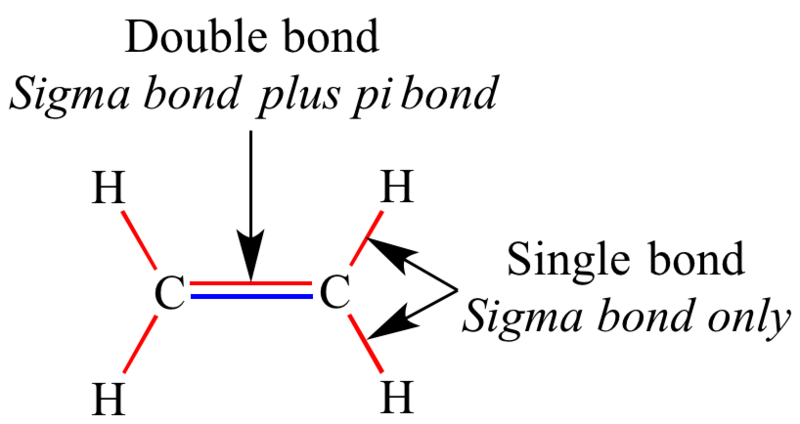 A triple bond consists of 1 Sigma bond and 2 Pi bonds. This is the important thing which can be defined in single line but needs some focus to understand, so better to get some exercise to make it clear. Combine Capacity: An element’s combining capacity is the number of electrons it needs to gain or lose in order to be a stable ion. If you ever want to calculate valency, then better go with Lewis diagrams. 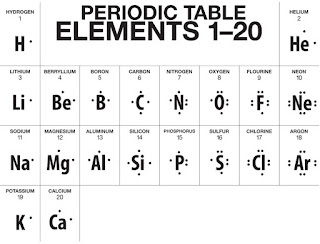 For preparing these Lewis Diagrams, you should be able to recollect the Inert atoms in periodic table, becoz if you see above fig. He atom is having 2 dots, and Li is having 1 dot, the same case is with Ne atom and Na atom, that means dots will appear to reduce after crossing an inert atom. Now, upto my knowledge, you have reached 70%. one more topic left, i.e., Hybridisation. Hybridization happens when atomic orbitals mix to form new atomic orbitals. 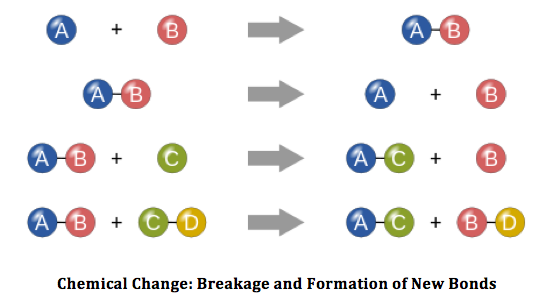 The new orbitals have the same total electron capacity as the old ones. The properties and energies of the new, hybridized orbitals are an 'average' of the original unhybridized orbitals. What is SP Hybridisation ? 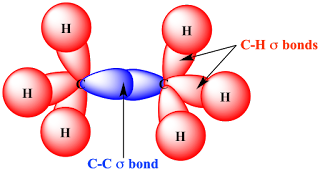 When a C atom is attached to 2 groups and so is involved in 2 sigma bonds, it requires 2 orbitals in the hybrid set. This requires that it is sp hybridised. What is SP2 Hybridisation ? When a C atom is attached to 3 groups and so is involved in 3 s bonds, it requires 3 orbitals in the hybrid set. This requires that it is sp2 hybridised. What is SP3 Hybridisation ? 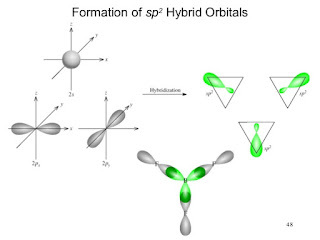 Overlapping of one S orbital and 3 P orbitals will result in SP3 hybridisation. 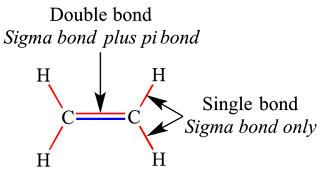 each sp3hybrid is involved in a σ bond. How pressure / vacuum varies with location ? Which is better "pumps in series or pumps in parallel" ? Now the first step is to make the reaction and bonds looks simpler. How to scale-up for agitation ? Select an agitator for operation ....!!! dH = H(R) - H(P) = 12297 - 11601 = + 696 KJ / mole. And for mole of manufacturing we need to supply 696 KJ. If you understand Say Cheers.......!!! Still queries feel comfortable to message me, or comment here....!! Calculation sheet Will be updated within a week, stay tuned for more.......!!!! i am following and using ur Calculation it is very useful. Can you share Cooling tower blow down calculation?? Usually, the main motto of blowdown is to remove the TDS, and it can be determined if you know two out of three parameters, those three were: Cycles, Evaporation, makeup water. Any queries feel free to comment/message. Can you calculate theoretically time required for completion of particular reaction??? There wont be any calculation to find out the time required, all we can do is having trials and checking the extent of reaction. But as per thermodynamics we can calculate the extent of reaction based on order or reaction and the critical temperature and pressure. Added the topic in the list of future posts, i'll share it. how we can found order of reaction in Pharma?? can we use order op reaction for any optimization calculation?? Why you cakcalcule bond energy only for know about exothermicity and endothermicity ,if you know bond energy is 696kj/mol then what should we do in practical approach . How bond energy help us in manufacrturing process ?.and which calculation . Pl refer the below post, it will helpful to clear your query, In the below post instead of the exothermicity obtained from RC1e use the energy derived from bond energy.